The pine cone is just one of the beautiful elements of nature that is captured on our Pasadena Pine Cone Hanging Sconce. The pine cone is just one of the beautiful elements of nature that is captured on our Pasadena Pine Cone Hanging Sconce. 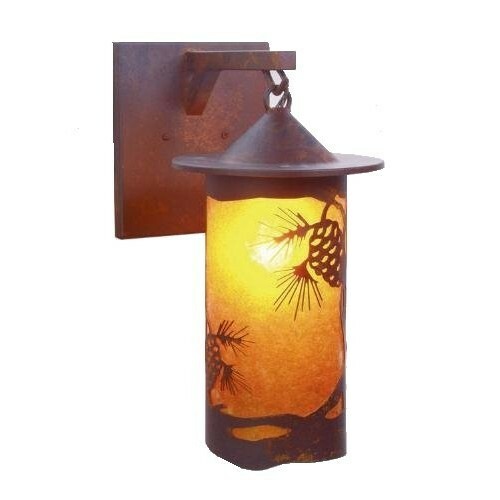 This beautiful rustic pine cone sconce measures 16"H x 8"W x 11.5"deep and uses one100W bulb. Made in the USA, ships in 3-4 weeks.